The Mantra, which, I have given in today’s post is the special Mantra, which is chanted while offering flowers to God. The primary function of this Mantra is to purify the flowers of any negative, dull or malefic energies or vibrations, in the Hindi language this is call Pushpa-Shuddhi. In this post, I have described 2 simple attraction spells from the book, the Egyptian Secrets of Albertus Magnus, White and Black Art for Man and Beast, which could be of great interest to the followers of Vashikaran, Mohini, Akarshan and Sammohan Vidya who regularly visit this site. These are stand-alone attraction spells to bring a desired woman come under a love-spell. 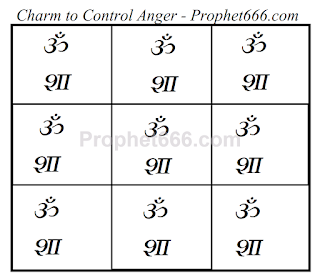 The Yantra described by me in this post is another one of the fearsome Hindu Occult Spells, which are practiced to give pain to an enemy and make his life miserable. 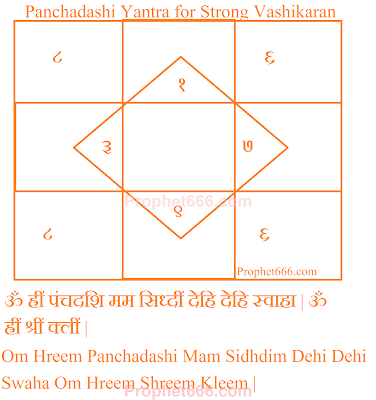 This specific Yantra Experiment, which is called in Hindi as the Dushman Ko Namard Bananeka Yantra Prayog is practiced in order to make an enemy lose his manhood or in other works to make his lose his virility, vitality completely and make him impotent. This is a Bhagwati Tara Mantra Experiment, which can prove to be most fruitful, if performed during the period of the Navratri festival. This Tara Mantra Experiment is called in the Hindi language as the Bhagwati Tara Sampurna Manokamana Purti Mantra Prayog, which will fulfill even the most difficult and stubborn wish or desire of the practitioner. In today’s post, I have explained the procedure of making a Panchadashi Yantra for the sole purpose of Vashikaran. The Vashikaran Experiment is said to be so strong and potent that even a powerful king can come under the Voodoo Attraction Spell of the Practitioner and bend to the wishes and commands of the Practitioner. 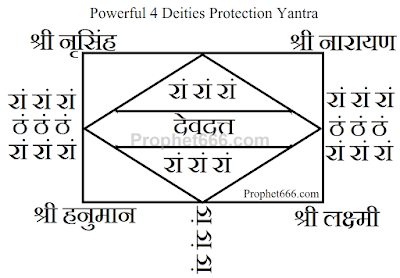 The Yantra, which is described by me in this post, is a Navnath Panth Charm that has been credited with the specific powers of strengthening the sperm count and quality of an individual who is trying to father a child. It has also been attributed with the powers of safeguarding the womb of the wife of the individual and preventing abortion and miscarriage. A special Indian Paranormal Remedy or Totka for appeasing Shani Dev on the occasion of Shani Jayanti has been described by me in this post. Shani Jayanti, the day of the Birth of Shani Dev, falls today on the 25th of May 2017. This day also falls on an Amavasya or New Moon Day, a day on which subtle, unmanifested, dormant and unseen cosmic energies are heightened and at their peak. 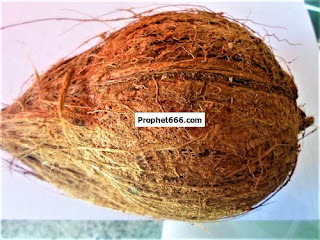 A Shabar Healing Mantra to get relief and cure throat diseases, ailments and pain by using Coconut Oil [ Nariyal Tel] has been described by me in this post. This Shabar Mantra is from the Navnath Panth and invokes Guru Gorakhnath in order to heal the patient. This Doha from the Shri Ramcharitmanas has been attributed with the power to remove any stumbling blocks and impediments, which are causing a delay in the marriage of a girl who is not only good looking but also belonging to a comfortably off and affluent family. In this post, I have written about an Akal Mrityu Bhaya Nivaran Yantra or a Paranormal Indian Talisman for averting untimely or unexpected death. This Yantra is suitable for people suffering from the psychological fear of “Death anxiety’, including the death of a loved one. A Lakshmi Mantra Prayoga, which is performed for 3 days to get money or wealth quickly has been described by me in this post. This Laxmi Mantra Experiment is suitable for those people who are looking for a Mantra, which is fast working and shows instant result in getting money and finance. 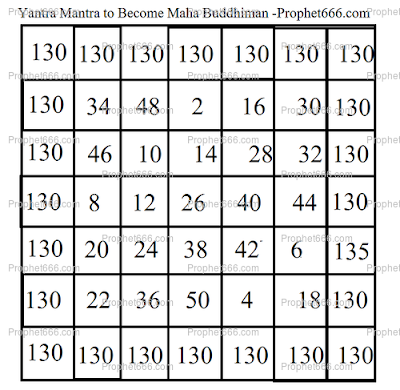 This healing Yantra, which, I have written about in this post, acts to free people suffering from hallucinations, illusions or delusions and bring them back to the real world from their dream and fantasy world. The Yantra is as per the Tantra effective in giving relief to people suffering from auditory, visual, smell and taste hallucinations and Schizophrenia. This self-protection Yantra, which acts like a shield to eliminate, deflect and repulse evil , sinister and unholy energies, vibrations and entities from causing harm to the wearer of the Yantra. The method of making and using this Yantra, which solicits the support of Narayana, Hanuman, Narasimha and Lakshmi is described below in this post. The need of true love and affection between a husband and wife has been time and again stressed upon in ancient Hindu Vedic texts. The Vedic Verse, described in this post is one such verse, which can be chanted like a Mantra to increase intimacy and warmth between a husband and wife. In this post, I have described a most simple Marriage Upay for a girl who is good looking but from a poor and economically backward family or someone who is uneducated or less educated to find a suitable bridegroom for marriage. This marriage remedy involves a very simple for of Shiva Worship. The Yantra, which has been described by me today is a soothing and calming Indian Charm to control anger and or chronic irritability. This Yantra, which comprises of a combination of letters and numericals is said to aid short-tempered people in anger management. An effortless and effective Hanuman Mantra Remedy to permanently eliminate Nazar Dosh or Evil Eye from children is being described by me in this post. This Buri Nazar purging Hanuman Mantra Upay is specifically for the benefit of the numerous fearful parents who write to me from time to time seeking an easy and uncomplicated method to exorcise Buri Nazar from their child. The Mangal Chandika Stotram is most sacred Hindu religious composition, which is said to be recited by none other than Lord Shiva himself in order to worship the Mother Goddess Chandika or Chandi Devi and seek her aid and blessings. 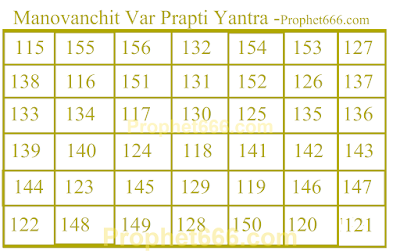 The Numerical Yantra described by me in this post is called the Manovanchit Yaa Shresht Var Prapti Yantra, which can translated into the English language as the Yantra to get married to an excellent and marvelous or longed-for bridegroom. The Mantra given in this post is a special Mantra to get married to your lover despite any kind of parental, family, caste, community or class barrier, using a photograph of the lover. This easy method of performing the Mantra Experiment is described below. The Shabar Healing Mantra Chant, described by me in this post is said to specifically heal the disease of Kanthmala or Gandamala, which is called in the English language as Scrofula[Cervical Lymphadenitis]. This disease is also sometimes called as tuberculosis of the neck because most of the infections are tubercular infections. The Yantra, given by me in this post is a Wish or Dream Fulfilling Occult Charm called in Hindi as the Manokamna Purti Chautisa Yantra. Keeping this Yantra on the body in a locket, Tabeez, pocket or purse is considered to be very advantageous and beneficial for the user in making his wished come true. 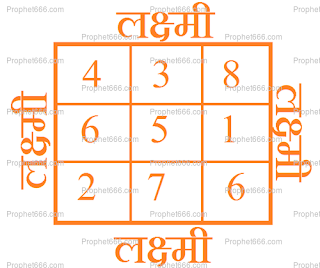 The Yantra, described by me in this post is a special Indian Wisdom Increasing Charm. There is a difference between intelligence and wisdom even though the two are related to the mind. Intelligence is ability to gain knowledge and find solutions, while Wisdom is the insight to choose how to apply that knowledge properly. The name of the Shatapatrika Yakshini appears in the list of 36 Yakshinis, however, her specific attributes and the fruits and benefits of invoking her are as yet unclear. The Mantra given in this post to call forth the Shatapatrika Yakshini is said to give the practitioner the paranormal power to discover treasures, which are lost, hidden or buried in the ground. 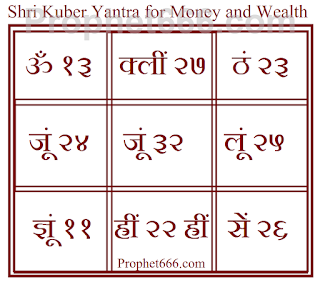 The Yantra- Mantra experiment described in this post is for making a Kuber Yantra, which is said to fulfill all the material wants of the practitioner, like money, vehicles, luxurious items, jewelry, houses and money and make him rich and wealthy. In this post, I have described some interesting and useful paranormal home remedies using the hair and other body parts of a camel. These remedies have originated from the Ushtra Tantra, which describes the uses of the body-parts of a camel in various Tantric rituals and healing practises. 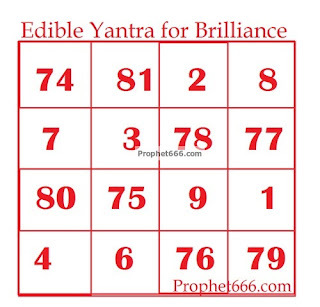 A very interesting and uncommon Edible Yantra Experiment to elevate intelligence, memory, grasping power, thinking speed and mental capacity and become brilliant has been described by me in this post. The distinctive thing about this Yantra is that it is an edible Yantra. In this post, I have written about the Hamsini Yakshini Mantra Experiment, which is said to give the practitioner Divya Drishti or Divine-Eyesight to view things that are buried, lost or concealed inside the earth. The Mantra Sadhana, which is simple and uncomplicated is described below. 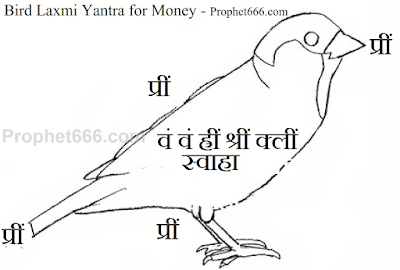 The Lakshmi Yantra described in this post, which is shaped like a bird and comprises of a combination of Beej Mantras is said to be a Siddh Mahalakshmi Yantra that is most effective and beneficial in all matters related to accumulation of money, wealth and items of material comfort. 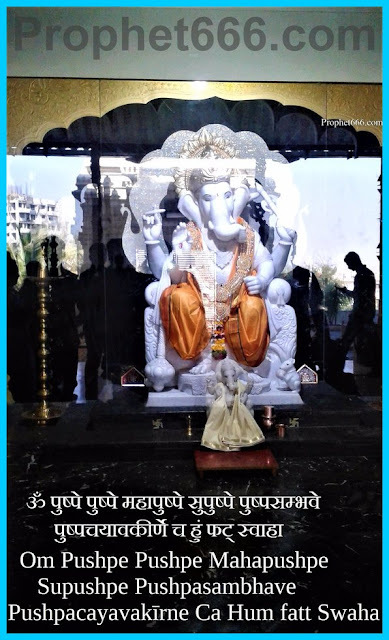 In this post, I will explain the easy method on making a Lakshmi Vardhak Yantra, which is said to intensify business growth with the help of the sacred Gayatri Mantra and a special Mantra of Lakshmi, which invokes the Dhan Ki Devi Lakshmi to increase the business, make it grow and remove all impediments that are obstructing the forward movement of the business. The paranormal remedy described by me in this post is for men whose marriages are in a turmoil or on the brink of collapse because they are lacking the ability of satisfying their wives in bed. The Upay is most simple to practice and can be practiced by the followers of Indian Tantra Shastra and Tone-Totke who are faced with this specific problem. The Vashikaran Mantra Prayog to attract any coveted man or woman as a sweetheart for the motive of love or marriage, which, I have described in this post is from the Ullu or Uluka Tantra. In many earlier, posts, I have written about many Mantra-Tantra Remedies of all kinds, which have originated from this Tantra.